Members of the National Honey Show will receive their 66 page A5 schedules (or download) as one of the benefits of Membership. The new schedule will be posted out to members late August 2019 unless you have opted out. Download the updated version 06/10/2018 which includes workshop and lecture changes. Tip: We used an A4 spine binder to hold the printed schedule together. 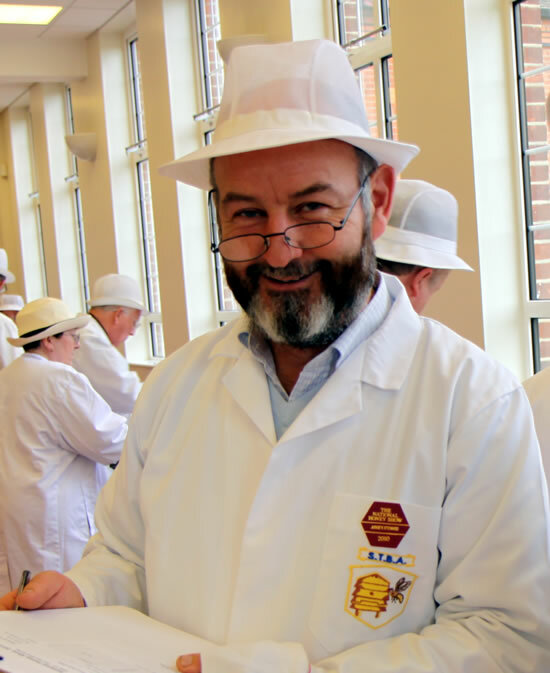 National Honey Show entry forms must be returned, together with the total remittance or pay by BACS and sent to the Entries Secretary, Mrs J Tinsey, 1 Old School Cottages, Etling Green, Dereham, Norfolk. NR20 3EU. Makes all the calculations for you! Instructions: To use this work sheet you will need Microsoft Office/Excel installed on your Window PC. Allow the file to be opened in Excel and enable editing. Fill out the form and save to your hard-drive and print the resulting form and send to the Entries Secretary. PDF files require Adobe Reader to open. Download a FREE Adobe Acrobat Reader for Windows or Mac OS. Erratum in the printed schedule..